So on this hike, I'm starting to get frustrated because the answers aren't coming to me. The answers always come to me. I'm doubting myself, thinking I must be doing it wrong. I'm not very good at this Ecopsychology stuff, maybe I shouldn't be here (Flagstaff, Naropa, CO, earth). Recognizing this futility, I take a deep breath and look up. As my gaze widens and refocuses, I'm looking out into a sea of evergreens, with a single yellow deciduous tree among hundreds of acres of green screaming "I am the answer." To which I say "ok. I don't know what you mean but I sense you. Thank you." For the next 10 years, I've continually come back to this question "what is the nature of change and how can I choose it consciously?" Some days, I'm afraid to choose change. I'm much more comfortable when change is happening to me and I can ride it with aplomb. When I'm choosing change, it's scratchy and irritating. Fast forward to this morning. Butterflies are caterpillars who got rid of the stuff that wasn't a butterfly. Leaves don't change colors. The green leaves and the other colors become visible. When you change, you do not become something else. You become more of something which was always in you. If you don't consciously choose change, it'll choose you. One more thing, I can't control what the changes looks like but I can steer the direction. These pictures are are of a Black Swallowtail. 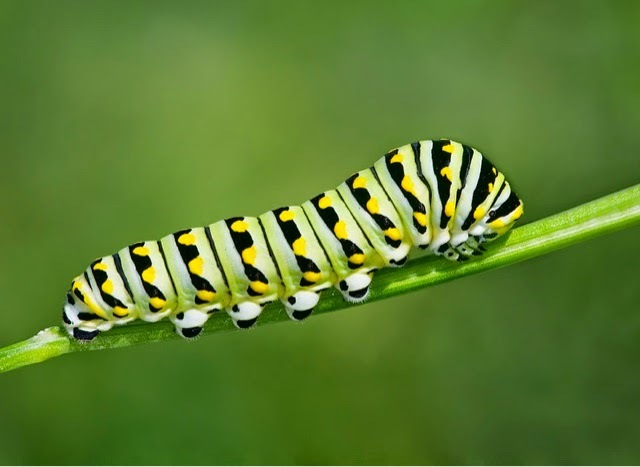 I would never have guessed from that caterpillar, that butterfly would emerge. 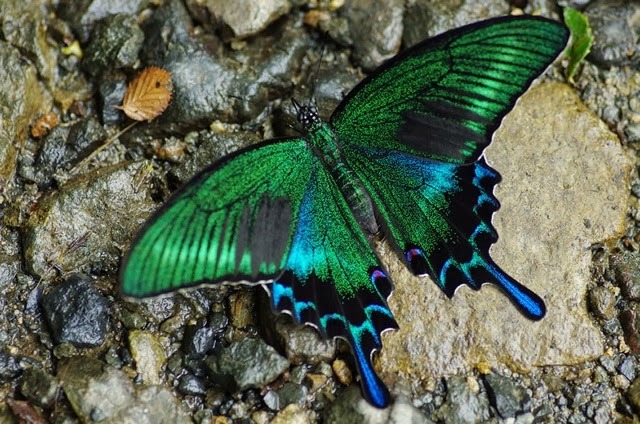 Holding the intention of the direction of change (to butterfly) allows me the emotional freedom to allow colors and beauty to simply emerge as fits the scheme of totality. Because what if I can be even more brilliant, do even more good work, shine ever more brightly than I have ever imagined?